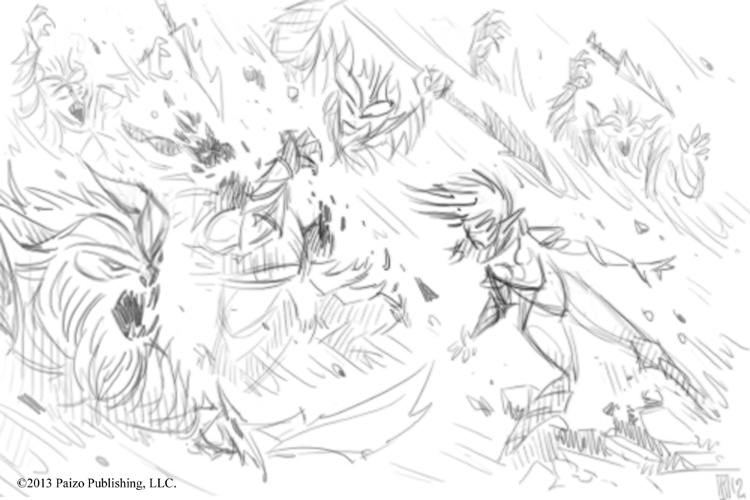 Inside Days: WIP Sketches - Pathfinder Mythic Adventures - Druid Power! 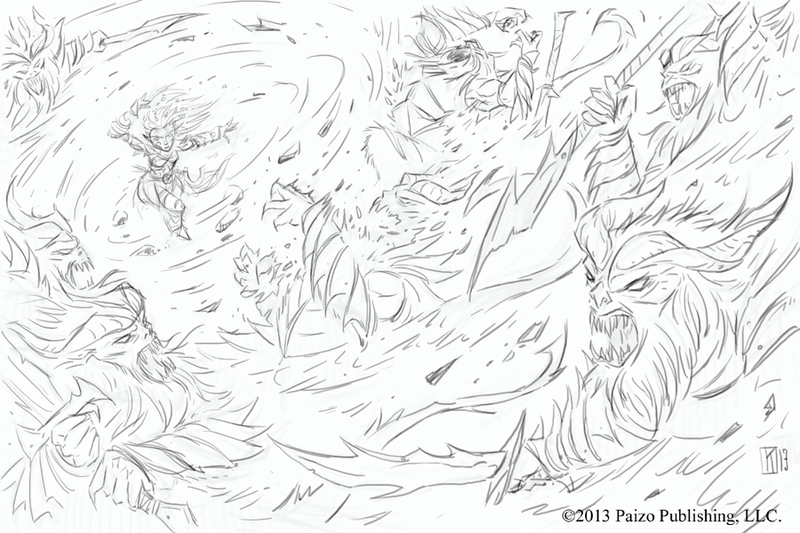 WIP Sketches - Pathfinder Mythic Adventures - Druid Power! 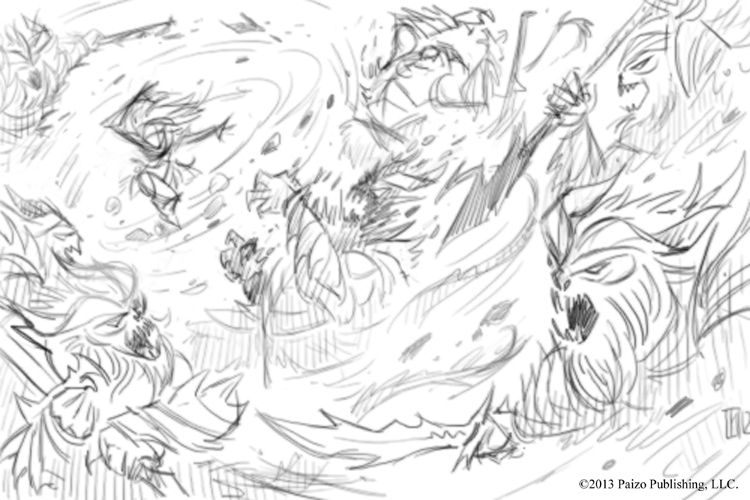 Some WIP thumbs for the Mythic Scouring Winds illustration! 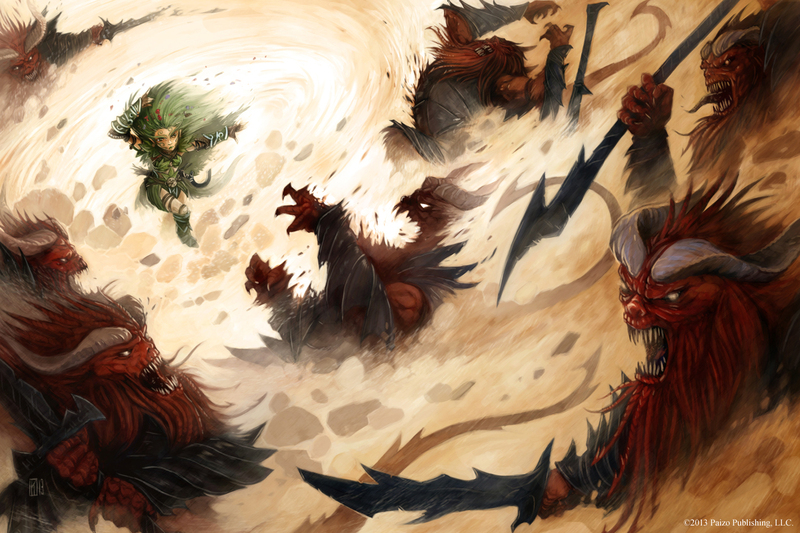 If you were fighting around sand, this looks like a pretty good spell! enjoy!